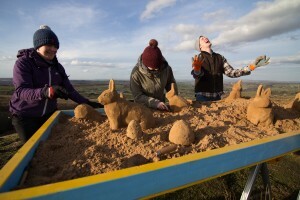 We have been beavering away in the studio over the winter building our pop up sand sculpture tables and finally this Easter we had a chance to try them out. 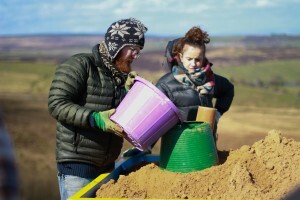 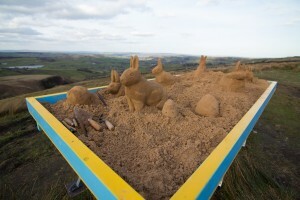 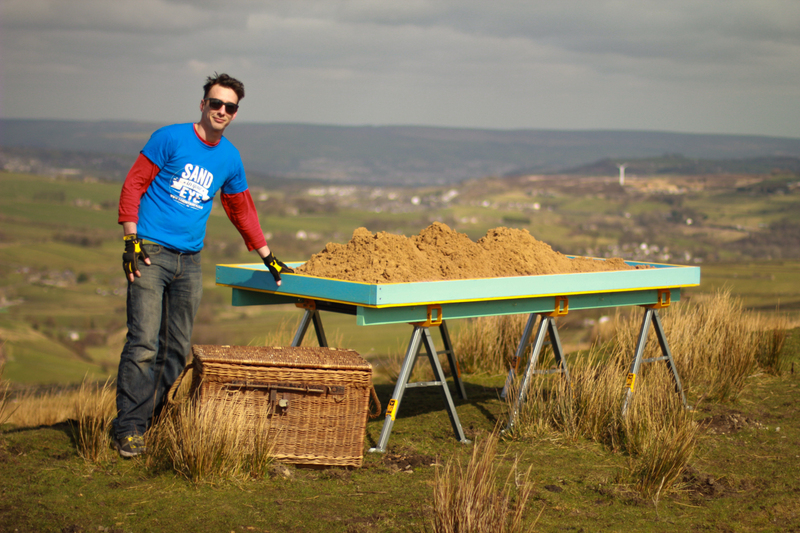 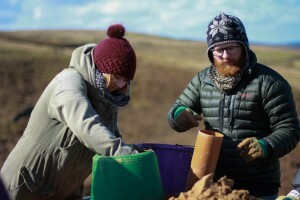 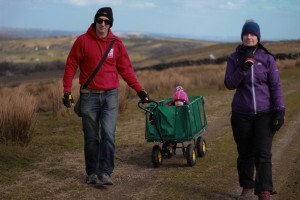 The Sand in Your Eye team and some enthusiastic friends Hannah, Adam, Sam and Rich ventured out to Oxenhope Moors to make some sand bunnies. 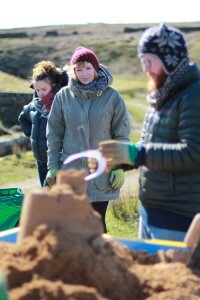 We all wrapped up and grabbed our sculpting tools as we watched Jamie do a little demonstration then we all set about making our own bunnies. 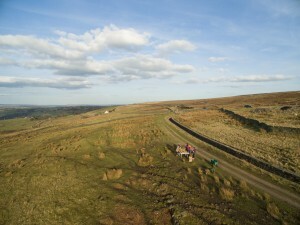 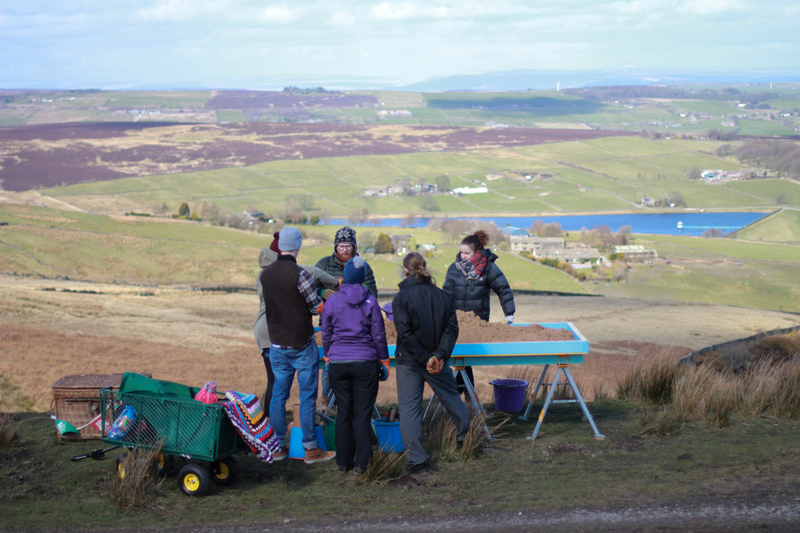 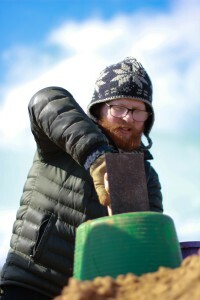 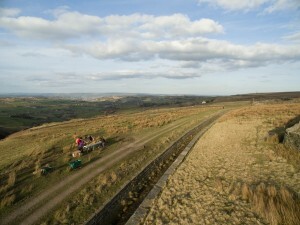 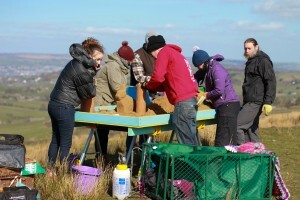 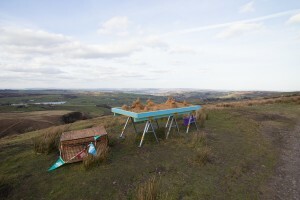 It was a cold but sunny day up on the moors as we carved and chatted away. 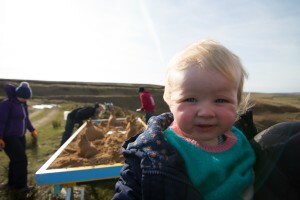 Florence seemed to really like her new play trolley and watched the rabbits appear from the sand. 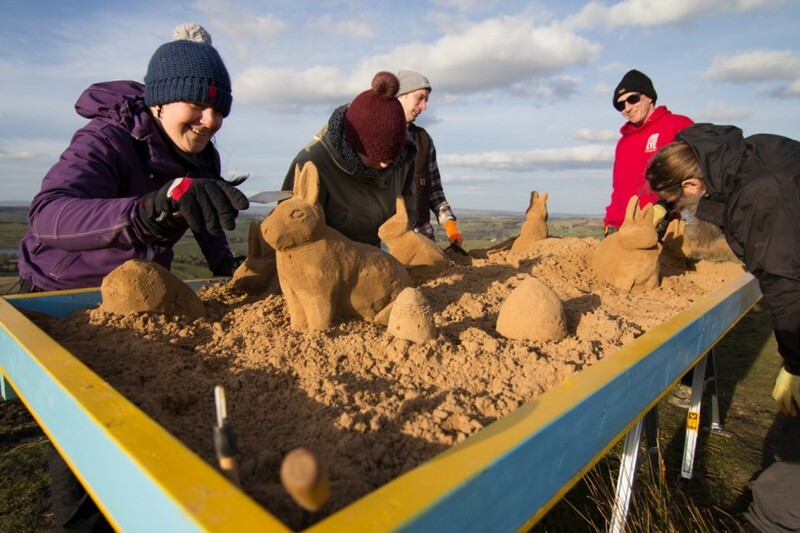 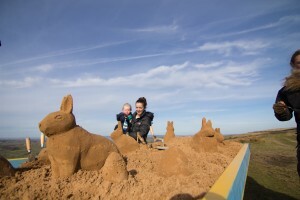 Most people taking part had never sculpted in the sand before and they all did a great job with Hannah winning 1st prize for the top bunny! 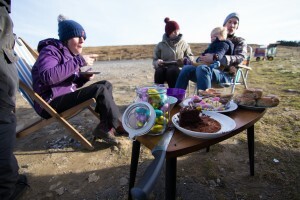 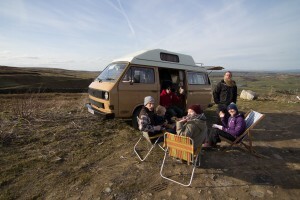 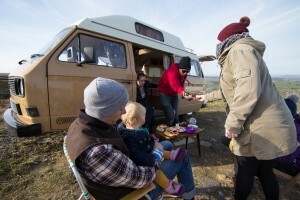 After the workshop we all headed over to Bungle the camper van for some well earned tea and Easter cakes! 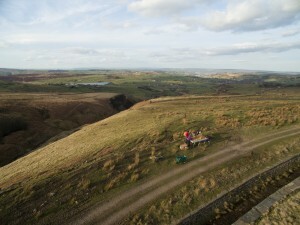 It was a great day out and a lovely way to spend the bank holiday. 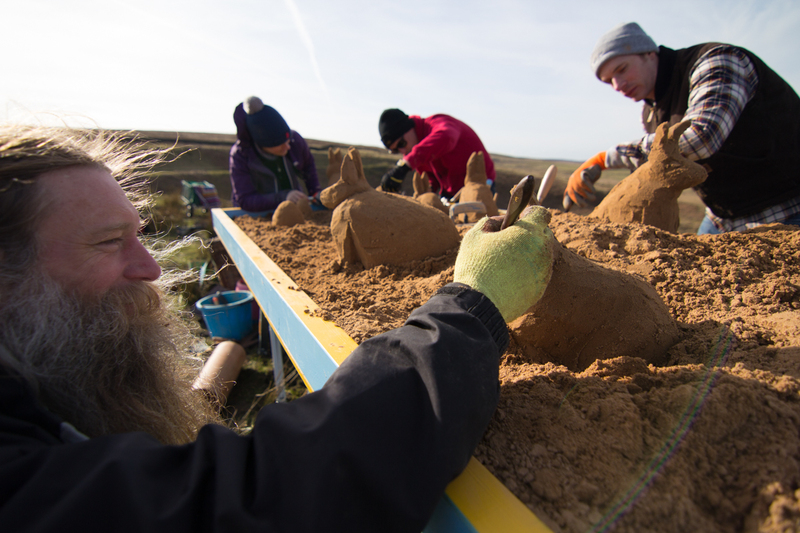 We always love to go to the beach and make amazing sand castles with children and families, but if you’re not lucky enough to have a beach on your doorstep, we can bring one to you (if a little smaller!). 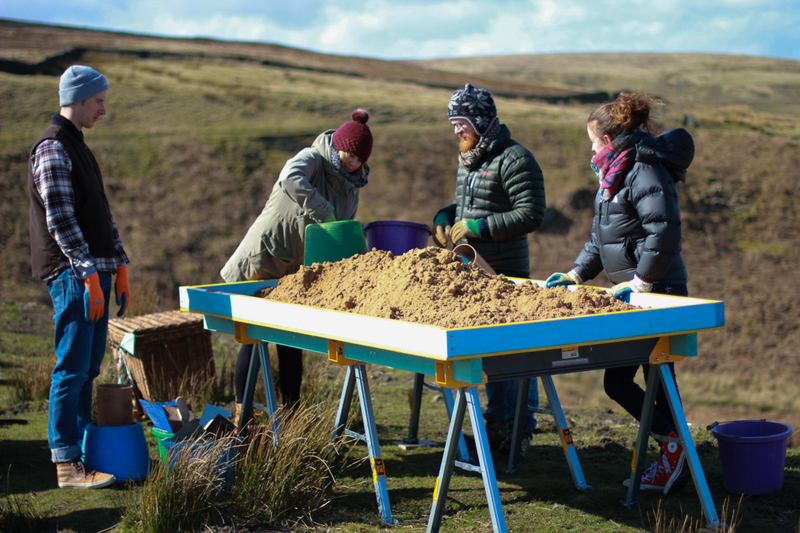 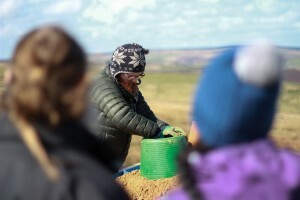 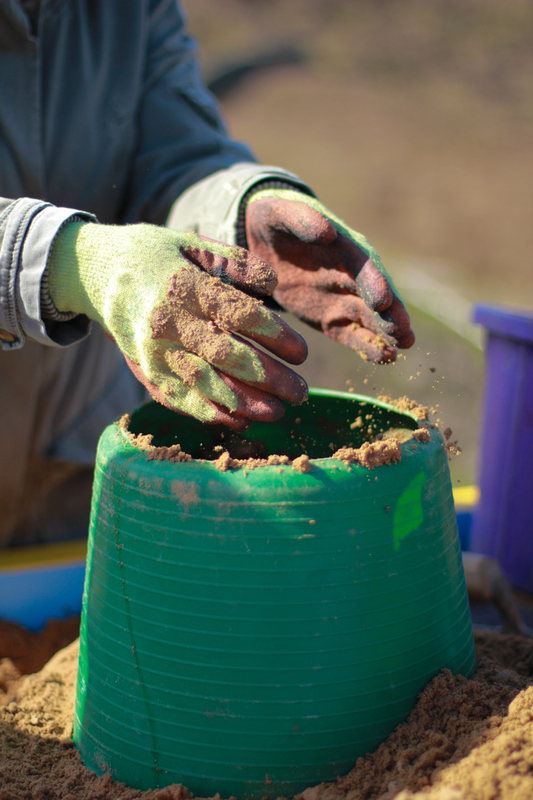 With our portable sand tables and our trained sculptors, we can run workshops anywhere from the middle of the remote countryside to a busy city centre office. 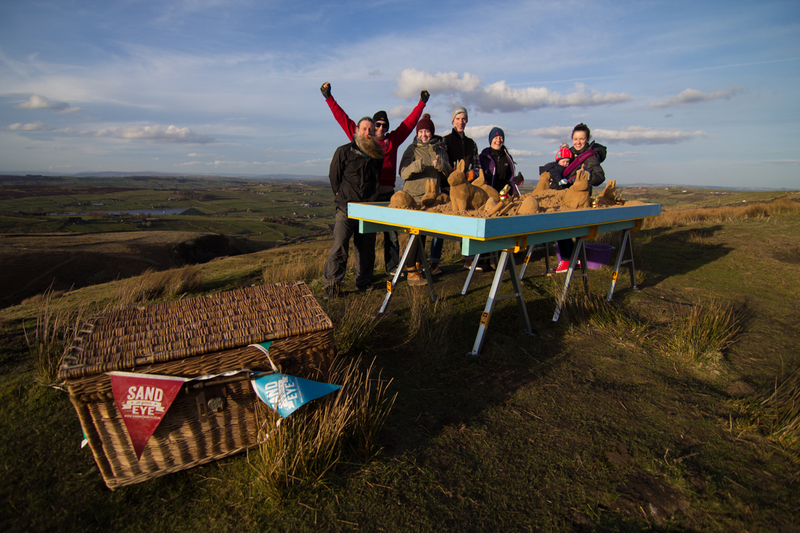 If your looking for a fun, friendly, hands on, creative workshop, we can accommodate your ideas for family, school or team building workshops just about anywhere! 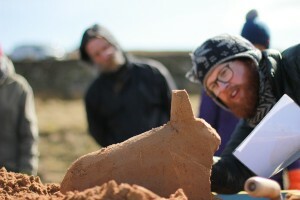 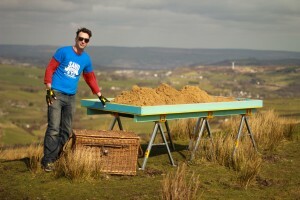 pop up sand sculpture workshops, expert at work! Pop up workshops can be anywhere! 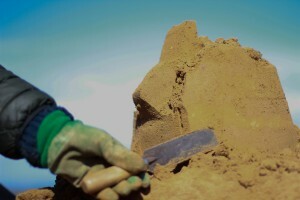 Nooooooooo!!!!!! 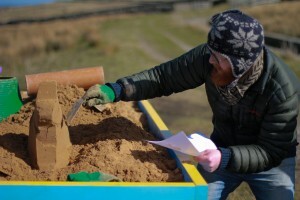 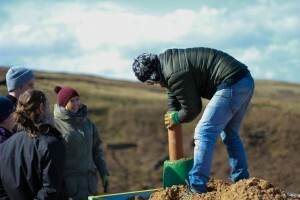 Always support the sand with your other hand Adam! 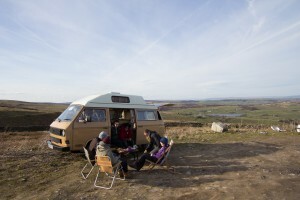 Golden rule!